If there’s one good thing that’s come from my friend Diabetes, its the fact that its made me better understand my food choices. Growing up, my parents had junk food in the house for us to snack on. We had biscuits in the morning and potato chips, lollies, chocolate, ice cream and soft drink after school (not all in one hit!). I can still remember politely asking Mum if it was okay to open “something special,” which is what we used to call junk food. Don’t get me wrong, its not like we were an unhealthy family. We had home packed lunches during the day and home cooked meals at night. Its just that we never had any restrictions on junk food from Mum and Dad. And ever since, I’ve had to have “something special” in the afternoons. Its become a subconscious habit that’s been impossible to break away from. Whether I was home at three, four or five o’clock, I still had to open that cupboard and grab a packet of chips. That is, until Diabetes came along. I never used to even think about junk food, or any of the foods I was eating and its impact on my health. And yet now, diabetes has opened my mind to the food choices I make. I liken it to this particular episode of How I Met Your Mother. Everyone had their annoying habits – Lily crunched loudly, Ted over corrected people, Marshall sang about everything he was doing, Robin overused the word ‘literally’ and Barney spaced out when people spoke to him. And nobody ever noticed these habits until an outsider pointed them out, ‘shattering’ the gang’s perfect illusions of each other. Diabetes has made me far more aware of my food choices than I ever was before. I actually read the nutrition information on the products that I buy in the supermarket. I understand the effects that carbs, fat and sugars in my food will have on my body and blood sugar levels. And after lots of experience, I have learned how to respond appropriately. Now I only eat salad and drink water. The fridge is full of fresh fruit and veggies and there is no junk food to be found in the house. Ha! Yeah right! But I really do think about my food choices now. I’ll still open the cupboards most afternoons and stare at the tempting goodies in there. But I’ll also think about the repercussions afterwards – like feelings of guilt and depression, being too full for dinner, and delayed blood sugar spikes by bedtime. One of the biggest hurdles I’ve overcome thanks to diabetes is the junk foods that I used to eat on a daily basis. Potato chips and ice cream, that I used to eat every day, I might have about once a week. Now, I’ll do my best to satisfy the urge for an afternoon snack in ways other than junk food. Sometimes I’ll have a nice coffee or cup of tea to keep my mouth occupied. Other days I’ll have crackers and cheese with a handful of nuts. But I’m certainly no Saint. I still nibble on chocolate most days (my biggest weakness), and I buy my lunch from the food court every Friday. I still end up overdoing it on special occasions like morning teas, eating out and on lazy days. More than I’d like to admit. But I understand what I’m eating. I know how to react. And that’s all that really matters. When lunchtime hits in my household, you can probably place your bets on how long I will spend opening and closing the cupboards and fridges looking for something different to have. I take forever to make a decision, because I’m not the kind of person who can just eat the same thing every day. 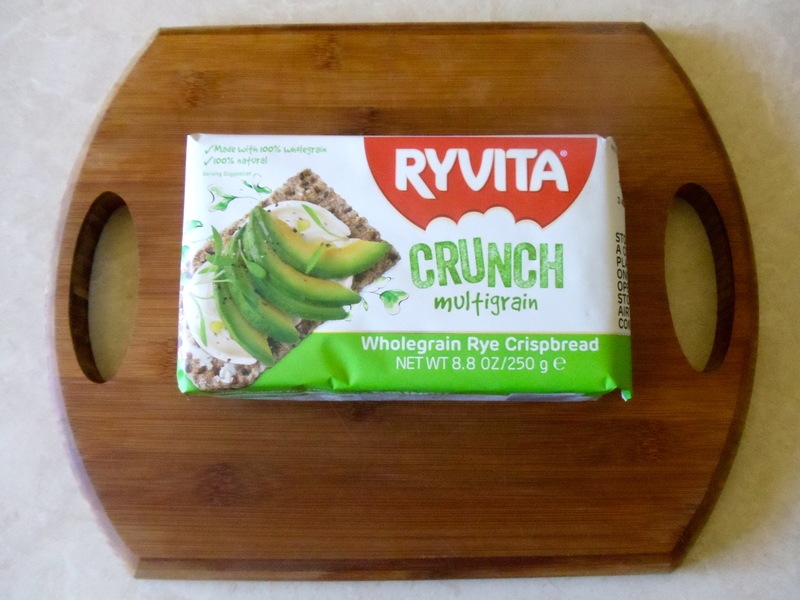 If you’re looking for some lunchtime inspiration, Ryvita Crispbreads should do the trick. Dense, grainy crackers served with the topping of your choice – mine being Philadelphia Cream Cheese, Smoked Ham and Spinach – should make for a satisfying light lunch or mid afternoon snack. There are currently three varieties on the supermarket shelf including Original Rye, Sesame Rye and Multigrain, full of wholesome-sounding ingredients such as Wholegrain Rye Flour and a variety of wholegrains and seeds. The nutrition information ticks all of the boxes for me. The fat and sugar content is suprisingly low for a processed product. 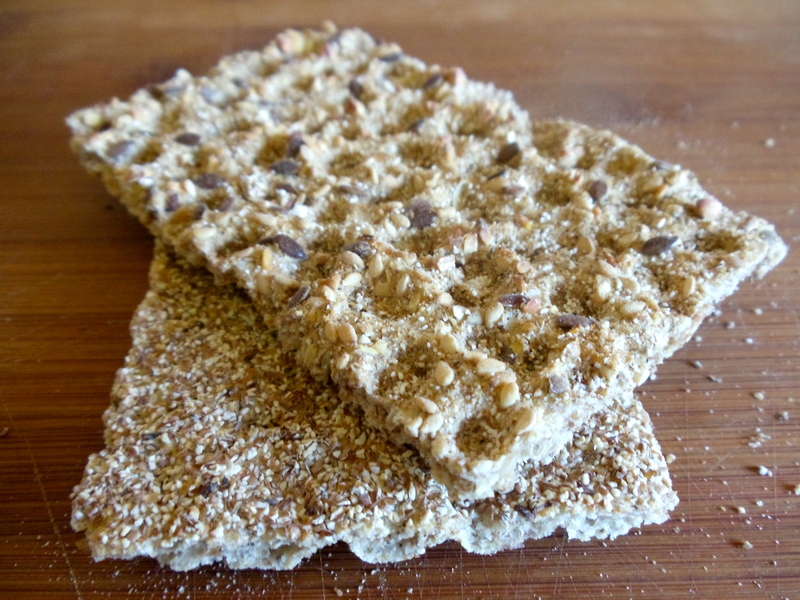 Meanwhile, the dense flours, seeds and grains embedded into the crispbread help beef up the protein and non-carb energy in the product and lower the overall Glycemic Index. The end result is a satisfying snack that will release energy and glucose into the bloodstream slowly and will help you feel fuller for longer. In the same way that wholegrains and seeds make breads more interesting, the dense, grainy composition of Ryvita gives it a point of difference from most other crackers. Although it doesn’t have a strong flavour, its meant to be had with toppings such as ricotta, cheese, lean meats or fresh vegetables. It also doesn’t leave a salty aftertaste, which I think is a good thing. Ryvita can be found in Woolies, Coles, IGA and other major supermarkets. At around $3 for a packet of 22 crispbreads, I’d say its pretty competitive with other products in the cracker/biscuit aisle. Writing this post has made me re-realise the goodness of Ryvita, and I would like to be buying these more often than I currently am. Ryvita is probably one of the best diabetes-friendly products in the cracker aisle of your supermarket. Low (less than 55). NB: While there is no GI data specified for this product, I would estimate a low GI rating based on its ingredient list of wholegrain rye flours, seeds and grains. Around $3 for a packet of around 22 crispbreads. Woolworths, Coles, IGA and other major supermarkets. 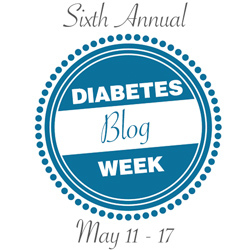 Updated: My blog has just been recognised on the DiabetesMine website as one of the highlights of the Diabetes Blogosphere in April 2015! Click here to read more. I can’t wipe the smile off of my face today (and I cannot believe that its the first of May already!). Never in my wildest dreams did I think that I would be able to sustain a blog for a whole month (6 weeks actually, to be exact). And yet here I am. Finally I have a new year’s resolution that I’ve actually achieved. I started this blog as a way to share some of my experiences and the lessons I’ve learned in the five years that I’ve been living with type 1 diabetes. I wanted an outlet where I could share my passion for writing and digital media. I’ve also been trying to find a career in marketing/communications for quite some time and I figured this would be a good testament for any prospective employer. I actually began planning this blog back in October last year. I spent a lot of time drafting posts, fiddling with the design and layout of the blog several times and over thinking about how I would make it successful. And to be completely honest, most of it was just wasted time. I released 3 of my pre drafted posts back in January, but it wasn’t until late March that I decided to make a serious start and just take it as it goes. As much as I wanted to make this a daily blog, I knew that it wouldn’t be realistic and the quality of my work would suffer. As much as I wanted this to be an overnight success, I knew it would take time and hard work. I just started writing, and more ideas would come to me as I went along. In the beginning, I didn’t even think there was much of a diabetes community, or blogs out there. But I started using Twitter and I quickly discovered plenty of interesting people, and blogs, to follow. I started engaging in the online diabetes community. And people followed me, people discovered my blog and some were even nice enough to give me some promotion. I highly recommend you check them out. And I’m sure there are heaps more out there that I’m yet to discover. From the bottom of my heart, I just wanted to say thank you to all of you that have visited and read my blog during the past month. To those of you who have followed me on Twitter. To those of you who have left comments on my blog. And to those of you who given my blog a shout out on Twitter. I know it may not seem like much, but to me it means the world. I cannot wait to see what May will bring. Inspiration has struck me at bedtime on this Monday night at the end of a long weekend, after mulling over something to write for much of the day. And I know I won’t be able to get to sleep until I’ve put pen to paper. Or, in this case, fingers to keyboard. Yesterday on the Coffee and Insulin blog, author Sarah shared her thoughts on diabetes before her diagnosis at age 13 – which was basically vague, unsubstantial ideas about a disease she didn’t need to know about at the time. And over the past week, I’ve been watching Twitter explode with #IWishPeopleKnewThatDiabetes tweets. Inspired by Kelly of the Diabetesaliciousness blog, people have been sharing their thoughts using the hashtag to raise diabetes awareness. And it got me to thinking about my own very complex diabetic life. There are so many aspects of my daily life that those around me would have absolutely no idea about. Of course most people around me know that I check my blood sugar levels and inject myself with insulin. But what about all those other invisible things that nobody ever sees, the things I choose to keep to myself. Thoughts. Its been almost five years since I’ve been able go to bed without being plagued with worrying thoughts. What will my blood sugar level be in an hours time? In two hours? Four hours? Tomorrow morning? Do I still have active insulin in my system from dinner? How much more am I likely to drop? Will I go hypo? Or will my blood sugar rise later on because of the fatty food I had earlier? Hypos. Being woken up at 2am drenched in sweat and shaking like mad. The frustration of having to open my eyes and get up from my comfy position under the covers. I know I’m hypo, but I’ll still reach for my meter just to be sure. Yep. I’ll reach for the bag of jellybeans sitting beside my bed, begrudgingly shoving them into my mouth. I hate them. The dry, sugary taste that will stick to my tongue for hours and leave my throat dry. I’ll be dying for a drink by the time I wake up. And then I’ll have to fall asleep all over again. Hypers. Waking up in the morning thinking of one number while my meter is showing something ridiculous like 20. I’m so furious, so frustrated at the thought of my blood sugar being that high for that long. Then cue the scary thoughts of diabetes complications and damage I’ve done to my body. Desperate to being my blood sugars down ASAP, I’ll dial up a big dose of insulin. Only to find a few hours later that I’ve overcorrected and am hypo instead. And then there’s those public situations. Like Work. Having to refuse that spontaneous treat that my workmate has brought in to share, and then being asked why not. Or accepting it and then racing back to the bathroom for a quick jab of insulin while nobody is around. And then waiting for that private moment to test my blood sugar level away from prying eyes. I’m doing myself a favour. Saving myself from that conversation where I’m asked if I can’t eat sugar and told stories about that friend or relative who has diabetes too. But I take it all in my stride. I don’t complain to my family. I don’t tell those well meaning conversationalists to shut up. I just deal with it. And most of the time, I dont even stop to actually think about what I’m doing. Its just something I have to do. Its a part of being me. Well, its 11.52pm and I really should go to sleep. 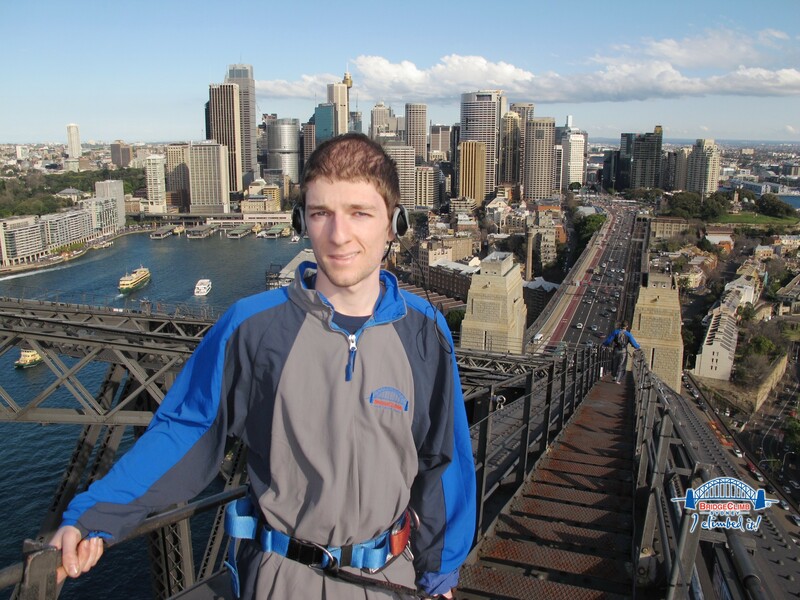 If you do want to hear more about me in real time, you can find me on Twitter @FrankSita. I’m always keen to connect with fellow people with diabetes, and bloggers out there. Cheers.